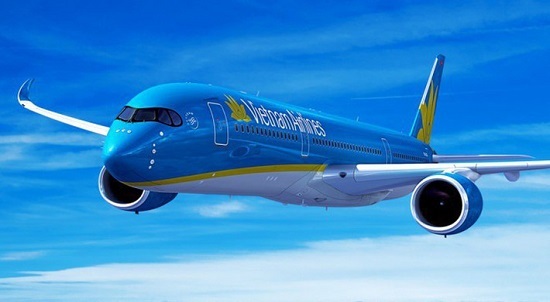 National carrier Vietnam Airlines will only launch direct air service to the United States in 2020, two years later than a prime minister-approved plan, according to the transport ministry’s new draft plan, VnEconomy reported. At the annual general meeting of Vietnam Airlines on May 10, 2018, the company’s General Director Duong Tri Thanh admitted that Vietnam Airlines will need about five to 10 years to reach the break-even for the Vietnam – US direct route. The ministry’s plan aims at opening new routes and increasing the frequencies of the existing routes of Vietnamese and foreign airlines, between Vietnam and key tourist markets in the world including the US, France, the UK, Japan, South Korea, China, Thailand, Malaysia, Singapore, Russia, Australia and India. Passenger shortages and turbulent competition could lead to annual losses of $30 million in the first five years. Lack of passengers is likely to be one of the biggest challenges facing Vietnam Airlines if it opens direct flights to the U.S., according to the Civil Aviation Administration of Vietnam (CAAV). Up to 90 percent of passengers flying between Vietnam and the United States are tourists and Vietnamese students, said the CAAV, explaining that they are not a stable source of passengers for the airline. The number of Vietnamese students in the U.S. increased for the 16th year in a row to more than 22,400 in the 2016-2017 academic year, a 5 percent increase from the previous year, new data shows. Vietnam remained the sixth leading economy of origin for all international students in the U.S, according to the annual Open Doors report by the U.S.-based Institute of International Education, which focuses on international student exchange and aid, foreign affairs and international peace and security. Another reason non-stop flights to the U.S may be unprofitable is that students and tourists often go for the cheapest tickets available. Meanwhile, the number of business clients who can afford expensive tickets is still limited, said the CAAV. Competition from other airlines will also be a factor for Vietnam Airlines, the country’s national flag carrier. Big Asian airlines such air Japan Airlines, China Southern Airlines, Singapore Airlines, Malaysia Airlines and Thai International Airways already operate regular flights to the U.S. Fierce competition has forced United Airlines, the world’s third-largest carrier, to stop operating flights to Vietnam from the U.S, local media quoted vice head of the CAAV Vo Huy Cuong as saying. The airline ended its service to Vietnam in October 2016 after many years of serving Ho Chi Minh City via Hong Kong from San Francisco, Chicago and Newark. 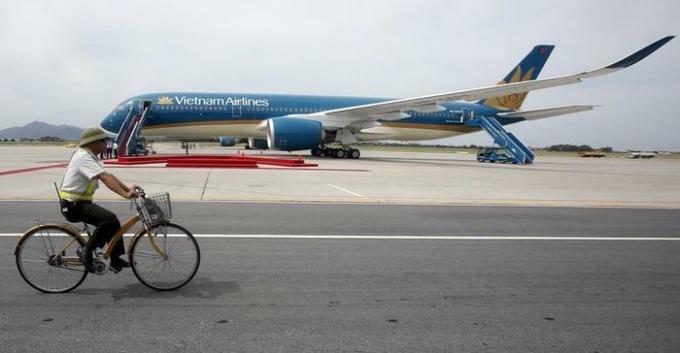 “Vietnam Airlines could face an average annual loss of $30 million in the first five years of operation if we opens a direct route to the U.S.,” local media quoted CEO Duong Tri Thanh as saying. We could start to break even after five years, he added. Vietnam’s government has recently approved a plan to expand its air network to major markets including Australia, China, Europe and the U.S. starting this year. According to the plan, Vietnam Airlines will open non-stop services to the U.S. starting with direct flights to the west coast this year. San Francisco and Los Angeles are two destinations being considered. Explaining the delay, Thanh said it takes time to complete the strict legal requirements imposed by the U.S. to launch direct flights to the country. To open direct flights to the market, Vietnam’s aviation authority needs to have its safety credentials approved by the U.S.
Vietnam expects the U.S. Federal Aviation Administration (FAA) to grant the CAAV its Category 1 (CAT1) rating in 2018, recognizing that it has the capacity to ensure the safety of Vietnamese airlines. The CAAV currently follows standards set by the International Civil Aviation Organization, but in order to earn the CAT1 it has to make certain improvements, including completing a new set of regulations, ensuring a sufficient number of staff and improving its supervisory capacity. In 2004, Vietnam Airlines sought permission from the U.S. to provide direct services, but the request was denied because the CAAV did not meet the safety supervision requirements set by the FAA. The airline said it has reapplied to the U.S. Department of Transportation to launch direct flights. In addition to strict legal requirements, a shortage of aircraft eligible to operate direct flights to the U.S. could also cause delays. “Vietnam Airlines does not have any airplanes that are currently eligible to fly direct to the U.S.,” Thanh said. Vietnam Airlines currently operates seven flights per week to cities in the U.S. under codeshare agreements with foreign carriers. The U.S. is the fourth largest source of foreign visitors to Vietnam, with more than 614,000 arriving in 2017, up 11 percent from the previous year, according to the General Statistics Office. Vietnam Airlines is studying the resumption of service to the USA as early as next year. In a remarkably candid interview, CEO Duong Tri Thanh told CNBC that the state-run carrier doesn’t expect to make money on the route, but has other reasons for expanding unprofitable longhaul service. The philosophy of the company is to help the economy and try to be viable and profitable. But growing the economy is more of a mandate. You can see on most of the intercontinental routes we are not making money. But we are helping to get people in and out. Think about the competitive landscape Vietnam Airlines faces. Singapore Airlines will start nonstop service to Los Angeles and New York again this year. Malaysia Airlines, Garuda Indonesia, and Thai Airways are also considering new service to the USA. Philippines Airlines already flies nonstop to Vancouver and Los Angeles and Mainland Chinese carriers are quickly adding flights to the USA. The fact is, the Southeast Asian market is already oversaturated and Vietnam Airlines doesn’t have all that much to offer that will distinguish it from others. Furthermore, with strict visa requirements and dated facilities, Ho Chi Minh City or Hanoi are not ideal transit points for secondary cities in Asia. While there are 2,000,000 Vietnamese citizens living in the USA, Thanh is not blind to the uphill battle. The plan is the end of 2019. But if it is not feasible and it is too much we have to wait to find a way to work with partners to improve the traffic mix. Like most of the airlines, like Philippines and Thai, we don’t have enough business travelers. We are just dependent on visiting friends and relatives. That is no way to make money. I recently flew the Vietnam Airlines A350 from Ho Chi Minh City to Frankfurt, a good flight but not a great flight. If Vietnam Airlines wants to compete for business travelers, it will also need a more competitive product.